2018 is coming to a close, and what a year it’s been for the disability community. To recognize and recap all the the shake-ups and important moments that transpired within the past year, Rooted in Rights co-hosted a Twitter chat with the Disability Justice Initiative at the Center for American Progress. Participants reflected on the highs and lows, the wins and losses, the good and bad that 2018 held. We celebrated some of the biggest successes of the disability community’s advocacy, like our collective efforts to stall passage of H.R. 620, which would roll back civil rights protections from the Americans with Disabilities Act, and the cross-disability efforts to push back against the Public Charge rule, which would impact disabled people seeking to immigrate to the United States. We also shined on spotlight on individual triumphs, such as Liz Weintraub’s powerful testimony before the Senate during the Kavanaugh hearing and Senator Duckworth’s voting on the Senate floor with her baby in her arms. 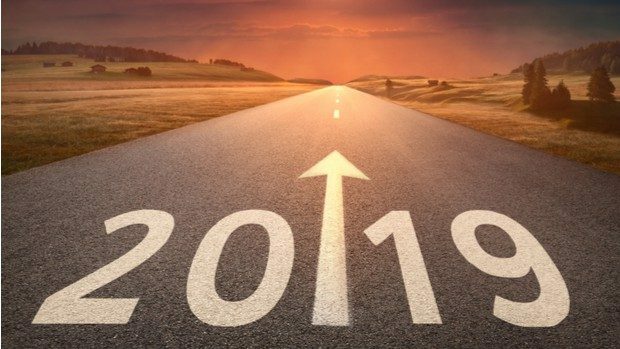 Those who joined us for the chat also took some time to look toward the future, expressing hopes for what’s to come for the disability community in the year ahead. From employment to health care, from immigration to accessibility, there’s much work to be done to continue our work for disability rights, and Rooted in Rights is ready to continue our work in solidarity with the disability community in 2019! Below are tweets from the conversation, so you can read what everyone had to share. And if you’d like to add to the conversation, you still can! Just head on over to Twitter and add your thoughts and responses to our questions using the hashtag #DisYearInReview. Emily Ladau, Editor in Chief of the Rooted in Rights Blog, is a passionate disability rights activist, writer, speaker, and digital communications consultant whose career began at the age of 10, when she appeared on several episodes of Sesame Street to educate children about her life with a physical disability. A native of Long Island, New York, Emily graduated with a B.A. in English from Adelphi University in 2013. In 2017, she was named as one of Adelphi’s 10 Under 10 Young Alumni. More about Emily’s work can be found on her website, Words I Wheel By, and her writing has been published on websites including The New York Times, SELF, Salon, Vice, and Huffington Post. Alongside her work as a writer, Emily has spoken before numerous audiences, ranging from a panel about the 25th anniversary of the Americans with Disabilities Act at the U.S. Department of Education, to the occupational therapy program at New York University. Follow her on Twitter at @emily_ladau.